Only nine players completed Thursday’s rain-shortened first round of the U.S. Open at Oakmont Country Club. 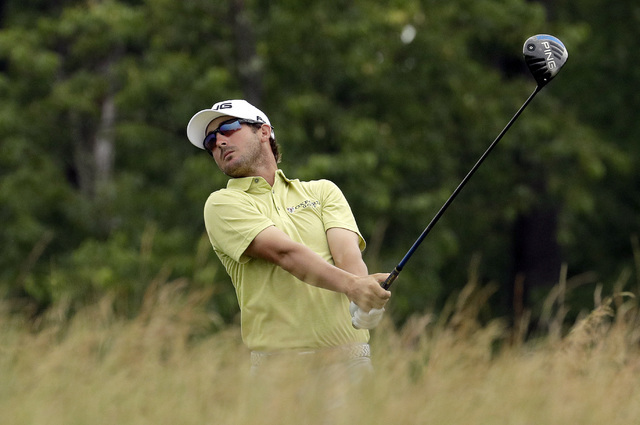 Andrew Landry has a one-stroke lead, and the betting windows remain open. 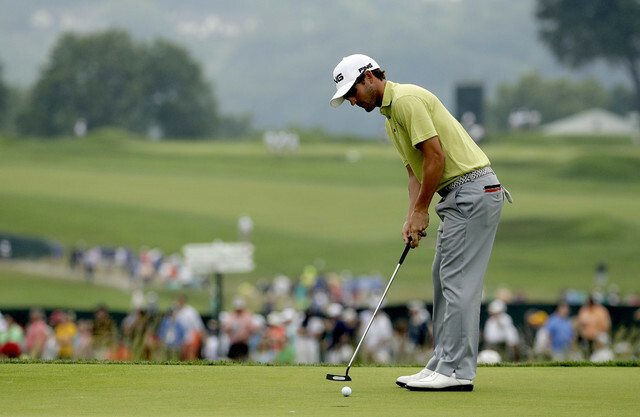 It would be wrong to say no one expected Andrew Landry to be in contention to win the U.S. Open. There is usually at least one person out there who bets on the improbable. In this case, it was exactly one. Landry was posted at 1,000-1 odds at the Westgate sports book, and he drew one ticket for $5. He’s the tournament leader after Thursday’s play was suspended because of heavy rain. A former All-American at Arkansas, the 28-year-old survived regional qualifying to get into the U.S. Open field. In 11 starts on the PGA Tour this season, Landry recorded six missed cuts and no top-40 finishes. He arrived at Oakmont Country Club in Pennsylvania as the No. 624-ranked player in the world. When play resumes Friday, Landry, who is 3 under par through 17 holes, will face an 8-foot birdie putt. He has a one-stroke lead over Danny Lee and Bubba Watson. Only nine players completed the first round, and half of the field never got to the first tee because of three weather delays. “It’s disappointing how it went, and it’s really too early for me to formulate an opinion on it,” Westgate golf oddsmaker Jeff Sherman said. Landry scored well early in the day before conditions worsened. But he was able to handle a course that was eating up Rory McIlroy, who went in as one of the three favorites. McIlroy was 4 over through 13 holes. The Westgate was one of the few sports books to post odds on all 156 players, so Landry was included as a field bet at most books. The betting windows remain open. Sherman reposted odds Thursday night on each player, adjusting McIlroy to 25-1 and Landry to 100-1. Jason Day closed as the favorite at 13-2 odds, followed by McIlroy at 7-1 and Jordan Spieth, the defending champion, at 15-2. Day, who has yet to tee off, is now at 6-1. Spieth, 1 over through 11 holes, is at 8-1. Dustin Johnson, the fourth choice on the odds board at 12-1, did not play a hole. Johnson never has won a major, but bettors are crowding his bandwagon. “We took more tickets on Dustin Johnson than on Spieth, Day and McIlroy combined, and I don’t know why,” said Matthew Holt, vice president of CG Technology sports books. Phil Mickelson, a popular bet at 20-1, also did not hit the course Thursday. The weather forecast calls for clear skies over the weekend. Sherman said the Westgate will post adjusted odds to win at the end of play each day. Rickie Fowler and Masters champion Danny Willett were among the biggest losers on the first day. Fowler, 6 over through 12 holes, closed at 25-1 odds and dropped to 200-1. Willett, 4 over through 12, went from 40-1 to 125-1. The proposition for the lowest completed round shot by any golfer was 66½. Landry can card a 66 if he sinks his birdie putt Friday morning.